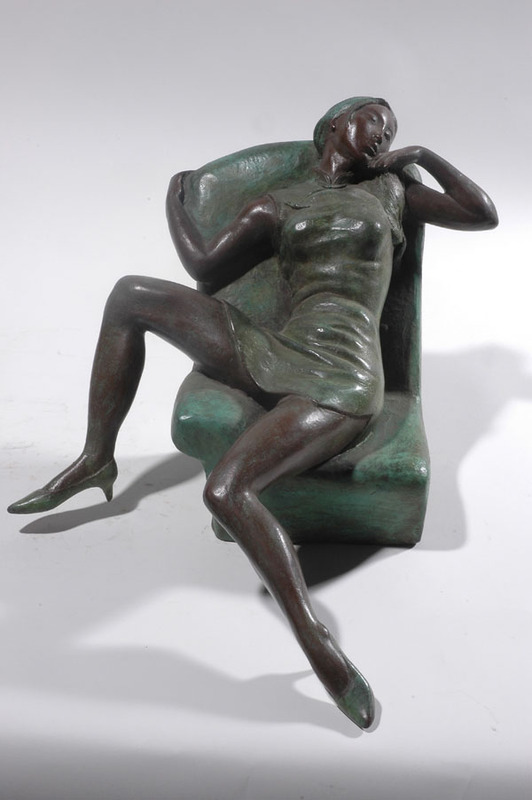 Contemporary Chinese sculptor Zhang Yaxi (pronounced "Djang" and 'Yashi' in English) lives and works as a professional sculptor in Chongqing (formerly within Sichuan province), China. 1982-1986: Studies in the Secondary Art School attached to the Sichuan Fine Art Institute. 1986-1991: Studies in the Sculpture Department of the Sichuan Fine Art Institute. Graduated with a Bachelor of Fine Arts degree. 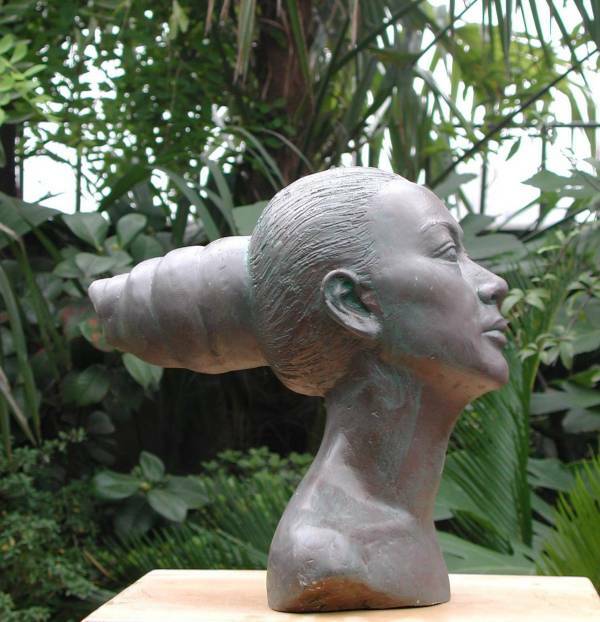 1993-1994: Studies at the Sculpture Department of the Central Academy of Fine Arts in Beijing, China. 2002: Earned a Masters of Fine Arts Degree from the China Fine Art Academy in Zhejiang. 2002: Three month residency at the Cite Internationale des Arts in Paris France, with visits to museums and sculpture parks in Holland, Belgium, Germany and Italy. 2002-2003: Further English studies and Post-Graduate studies. 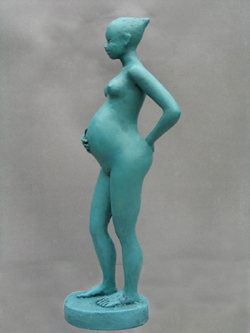 1997-2010: Works her way up from Assistant Lecturer to Associate Professor, teaching sculpture in the Design Department of the Sichuan Fine Art Institute, as well as pursuing her professional career as a sculptor in her own studio. 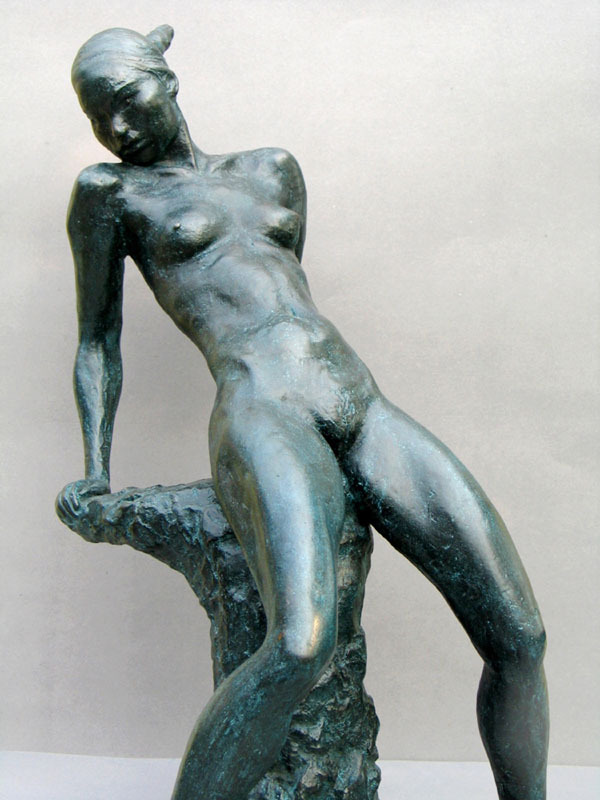 She has also participated in national and international sculpture symposia and national exhibitions. 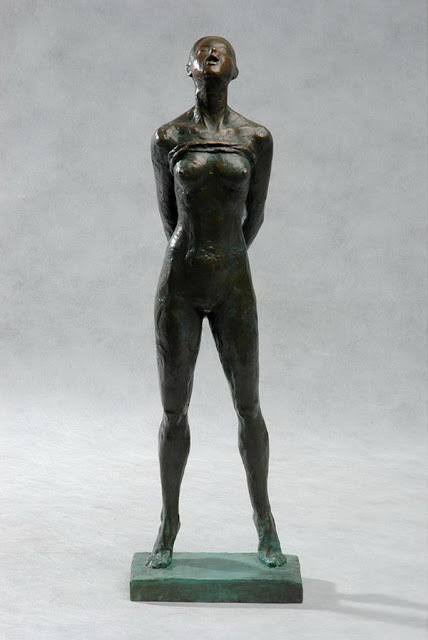 Her training and education is that of a typical young Chinese sculptor today (she has created monumental sculptures up to 7 metres in height), and her sculpture has been exhibited in several international sculpture symposia and national sculpture exhibitions as well as being commissioned for public and corporate spaces. Shown below, Yaxi is working on one of her monumental works entitled The Gate of Life, a monumental urban sculpture in bronze created during the China Changchun International Sculpture Symposium 2001. In a more ephemeral vein, browse to see Pregnant, a monumental snow sculpture created on a frozen lake in Harbin, China. You can also see "Honorable Hero - General Ba" a monumental work created during the 4th International Sculpture Symposium of Vietnam in December of 2003. 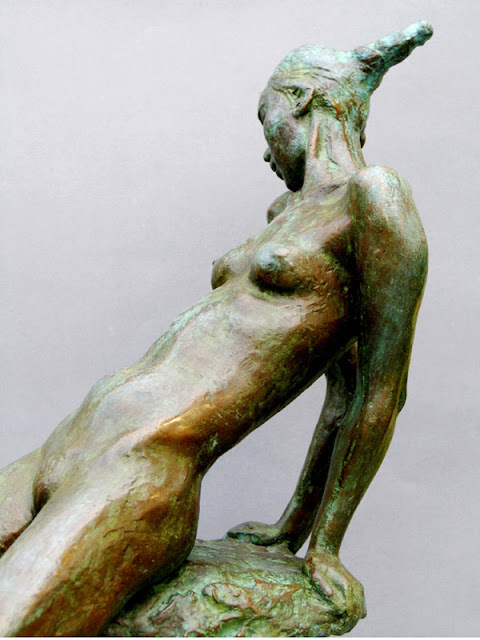 In the last two years, Yaxi has been working on a series of provocative and moody nudes which can be wall-mounted - the perfect answer for anyone who feels they don't have enough table-top or floor space!!! 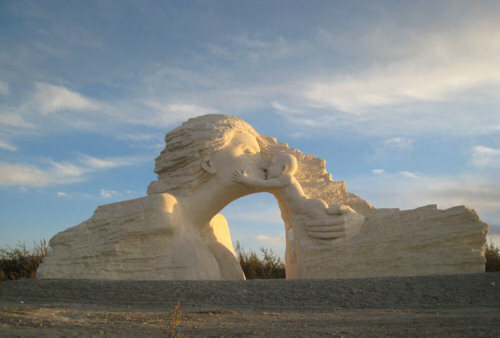 Zhang Yaxi was commissioned in 2007 by the Mayor of Golmud to create a public artwork marking Qinghai province as a gateway to Tibet from China. 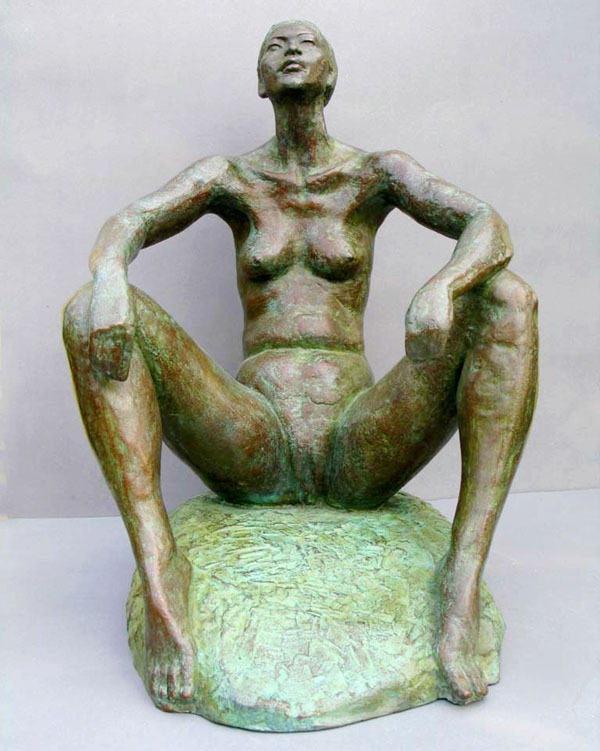 This monumental sculpture, which won the Excellence prize from the National Urban Sculpture Association in 2009, was executed by Yaxi and her assistants first in clay over a steel and wood armature, then was moulded in plaster. The mould sections were transported by truck from Chongqing to Qinghai, and cast in concrete over a gigantic steel armature on a large concrete base. The dramatic high-elevation desert plateau framed by mountains makes a perfect location for this technically challenging public sculpture. 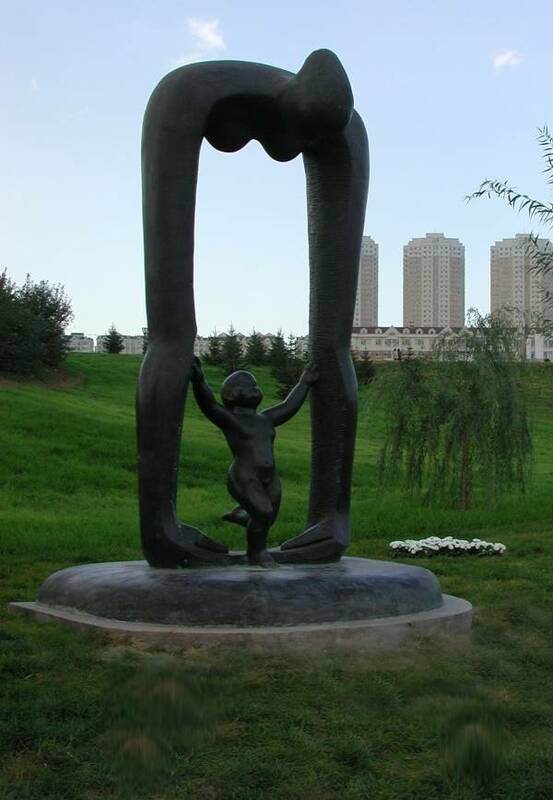 by the National Urban Sculpture Association of China for this "Mother and Child" sculpture. 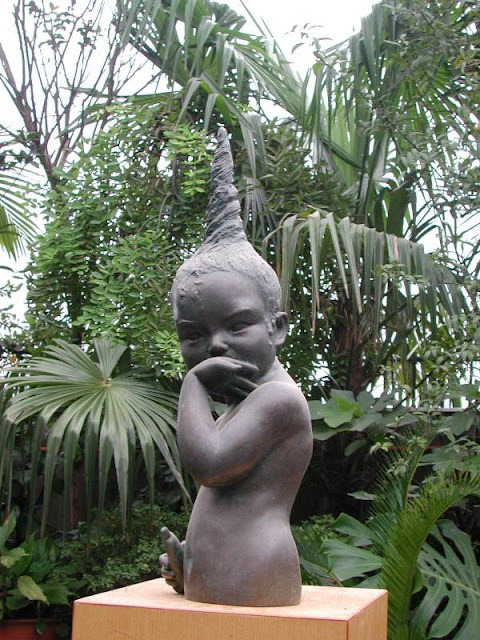 and this sculpture features among them.